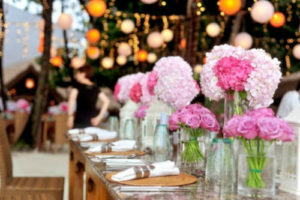 Seamless Planning For Your Event! An ideal choice for business, family, entertainment, or other special events! We offer seamless event planning, attentive service managers ready to respond to your every need, state-of-the-art audio-visual, telecommunications equipment, on-site catering coordination, valet parking, personalized service & so much more! The types of events we host include, but are not limited to: corporate, business, parties, banquets, weddings, luncheons, education events, wedding/baby showers and more.